In the sequel to her acclaimed debut novel, The Society of S, Susan Hubbard continues the adventures of Ariella Montero, who, in the midst of the ongoing presidential campaign, discovers that a leading contender for America's top political office just happens to be a vampire surrounded by the demons of lying, cheating, and murder. 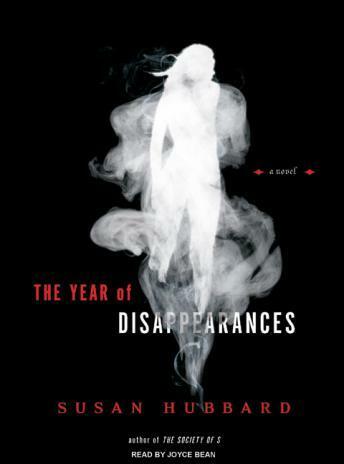 The Year of Disappearances traces Ariella Montero's fourteenth year, during which she is accused of lying, cheating, and murder (twice). Her education continues, but instead of literature, science, and math, she learns folklore, the art and craft of journalism, and most important, the nature of personal demons. The book's themes involve masks and the duality of the self, the evil of hypocrisy, and the perpetual conflict between the desires of the flesh and those of the spirit. As Ari comes to question her own authenticity, listeners may begin to question her. Could the accusations against her be justified? Is she a reliable narrator? Or is someone else at work, telling us her story?